Having a meeting, wedding, or celebration? Kapok Hotel offers corporate and banquet facilities for events up to 275 persons. View details about our event spaces below. For site visits, please contact our Events Coordinator at (868) 622-5765. Nestled in our famous Tiki Village restaurant, our Bamboo Room is a welcoming space for small gatherings, meetings and the occasional dinner party. In the north-western end of the hotel, the Kahuna Room offers a unique experience. 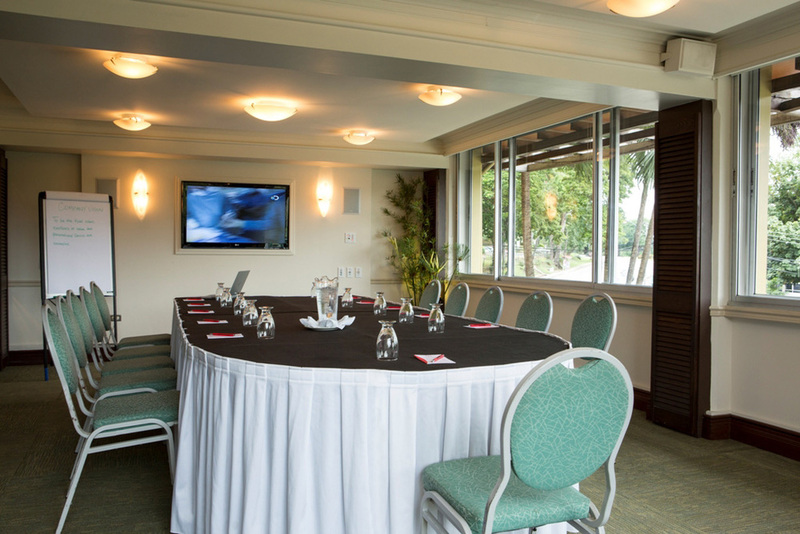 With ceiling-to-floor sliding glass doors and a large balcony, the Kahuna Room creates the ideal setting for small to medium-sized meetings and workshops. The warm sunset & gentle Cotton Hill breeze is your backdrop. Named after the beautiful Samaan Tree that towers in front the hotel, our popular Samaan Tree Room provides one of the best views of both the Queen's Park Savannah and the capital city. The room is designed to be both spacious and intimate — able to accommodate large groups comfortably. 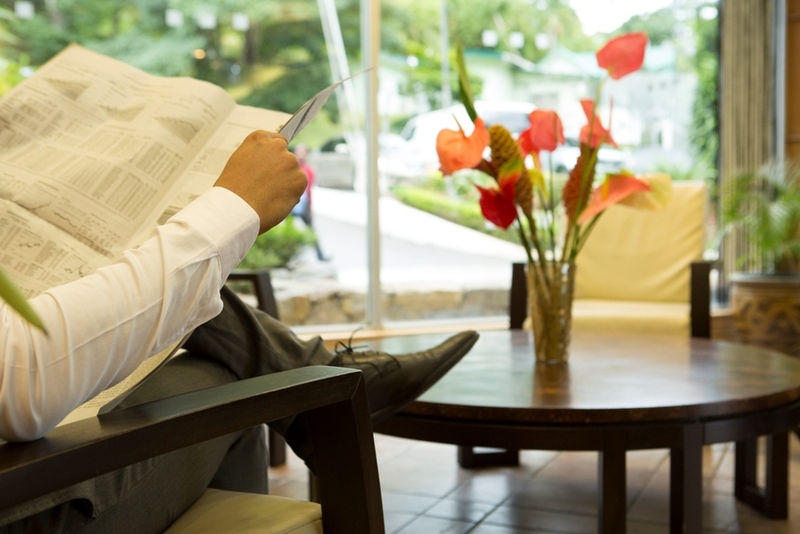 Included is a foyer with a bar and also as an option, a Secretariat room, we call the Bonsai Room. Both indoors and outdoors, the Flambouyant Room is an elegant space suited for small meetings during the day and intimate cocktails by night. This Asian-inspired space, has a private bar and a balcony overlooking our Pool area. The Kayak Room, in the south-west end, is our largest meeting room. It offers a flexible open space for all private events — with surrounding views of the Queen’s Park Savannah and Port-of-Spain to the south, and Cotton Hill to the west. Our renowned Tiki Village restaurant converts beautifully into an elegant wedding & banquet space. Up in the treetops, as we like to describe it. Tiki Village offers one of the most breath-taking panoramic views in Trinidad — the Queen's Park Savannah & our capital city of Port-of-Spain, and in the distance, the Gulf of Paria. Bois Cano consists of both outdoor and indoor spaces: an upper terrace, a lower terrace and a Main Bar & Lounge. All connected to create a unique, contemporary space for weddings & cocktail parties, both small and large. KAVA, our Lobby Bar & Restaurant provides a fun, yet sophisticated and elegant event space, able to accommodate medium to large-sized groups. It's both indoors and outdoors, and includes a large patio and bar. 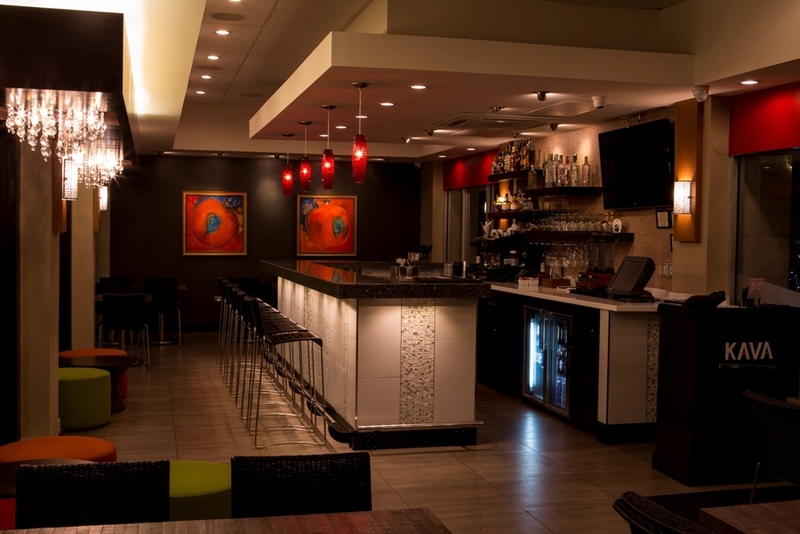 Our newest space is an extension of our popular KAVA lobby bar and restaurant. Tucked behind closed doors, Little KAVA offers up a small, but elegant and sophisticated space that is suitable for small events. The Pem Bois room is designed for small meetings where productivity is key. Included is a built-in 42'' LCD/HD television and small balcony. Special to this room, is the Ti Marie Room, a break out space that can accommodate up to 6 persons privately. Our Events Coordinator will contact you within 24 hours. For event space bookings and enquiries, please fill out our online Event Spaces Form (click). Our Events Manager will reply within 24 hours.